MIAMI, FL — ESPN3 schedule and AP Top 25 fixtures for the college basketball games listed for live broadcasting and streaming on Monday, Jan. 29. A total of 10 games are set for the ESPN3 schedule, while there are three games involving AP Top 25 ranked teams. No. 4 Duke will aim to bounce back from the close defeat at home to No. 2 Virginia on Saturday when it entertains visiting Notre Dame at Cameron Indoor Stadium. Live coverage of this game will be on ESPN and live streaming is on WatchESPN, starting at 7:00 pm ET. The Blue Devils (18-3, 6-3 Atlantic Coast Conference), for the first time in 18 battles, lost 65-63 to a very good Cavaliers squad over the weekend, which means they sit three-games behind their rival in the ACC standings. 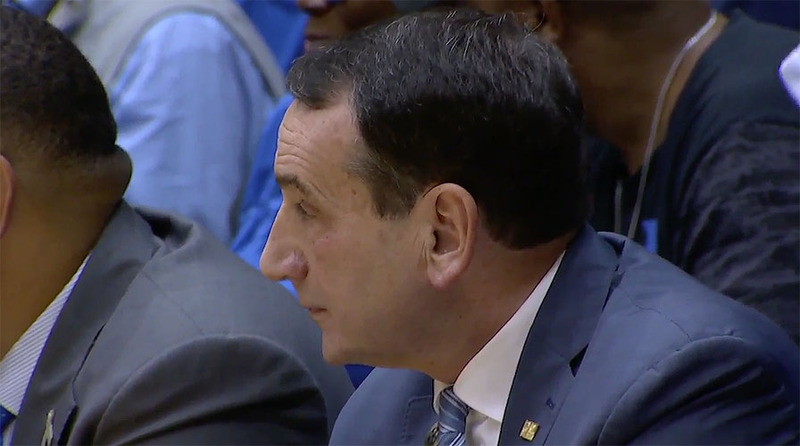 Meanwhile, Notre Dame, a team picked to be in the mix in the ACC race this season, has been aching in recent weeks and heads to Cameron Indoor Stadium hoping for a fresh start. Notre Dame has lost five straight, including the 80-75 defeat at home to Virginia Tech over the weekend. This clash on Monday night will be a rematch of the Atlantic Coast Tournament championship game from last March, which was won by Duke, 75-69. In the other two games involving AP Top 25 teams on Monday, No. 5 Kansas (17-4, 6-2 Big 12) travels to long-time rival Kansas State (16-5, 5-3 Big 12) at Bramlage Coliseum in Manhattan, Kansas, while No. 25 Michigan (17-6, 6-4 Big Ten) welcomes Northwestern (13-9, 4-5 Big Ten). The Wolverines against the Wildcats at Crisler Center in Ann Arbor, Michigan, will go off at 7:00 PM ET, live on Fox Sports 1 and streaming on FoxSportsGO. The Jayhawks battle with the Wildcats tips off at 9:00 PM, live on ESPN and live streaming on WatchESPN. Among the games listed for the ESPN3 schedule are the clash between Florida Gulf Coast against North Florida at Alico Arena in Fort Myers, Florida, and Jacksonville at Stetson at Edmunds Center in Deland, Florida.